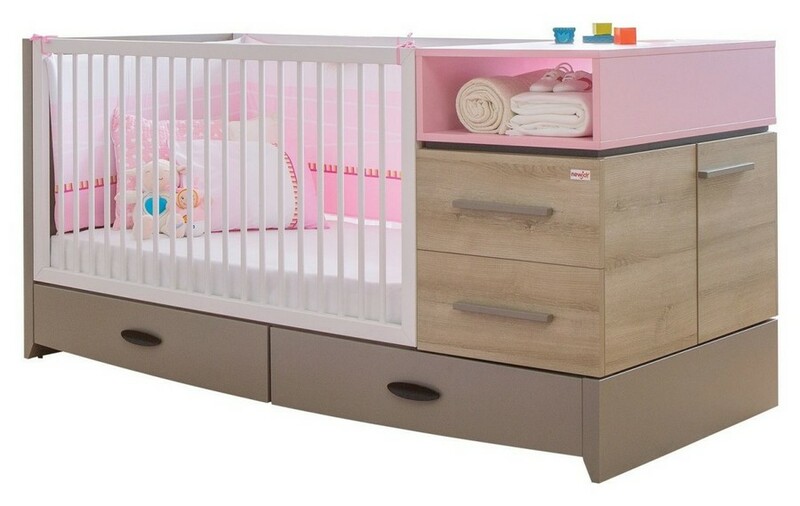 In the previous post we learned all the requirements set to beds for baby sleep and made a logical conclusion that the key issues are safety, eco-friendliness and convenience. These aspects come first-turn, and only when all three are found in the bed we choose, we pay attention to beauty and design. 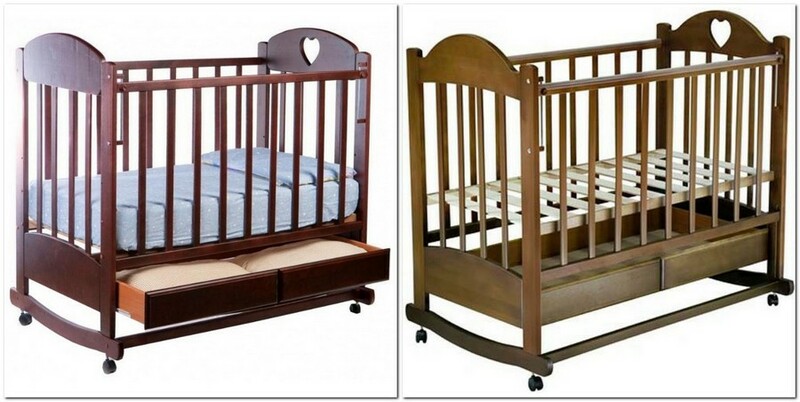 And at this point we’re faced with many different types of toddler beds modern manufacturers offer to parents. What are they? What is the difference between them? And what are the pros and cons of each type? Let’s find this out together to make the safest choice! This is a good and most popular option for kids aged from 0 days up to 3 years. Its main advantage is the lulling option: you may get a model on sleigh runners and the entire construction would rock to help your precious baby fall asleep, or you may choose a model with a gliding option, in which just the base of the bed moves and the legs stand still on the floor. A bed on wheels gives you plenty of room for frequent relocations. 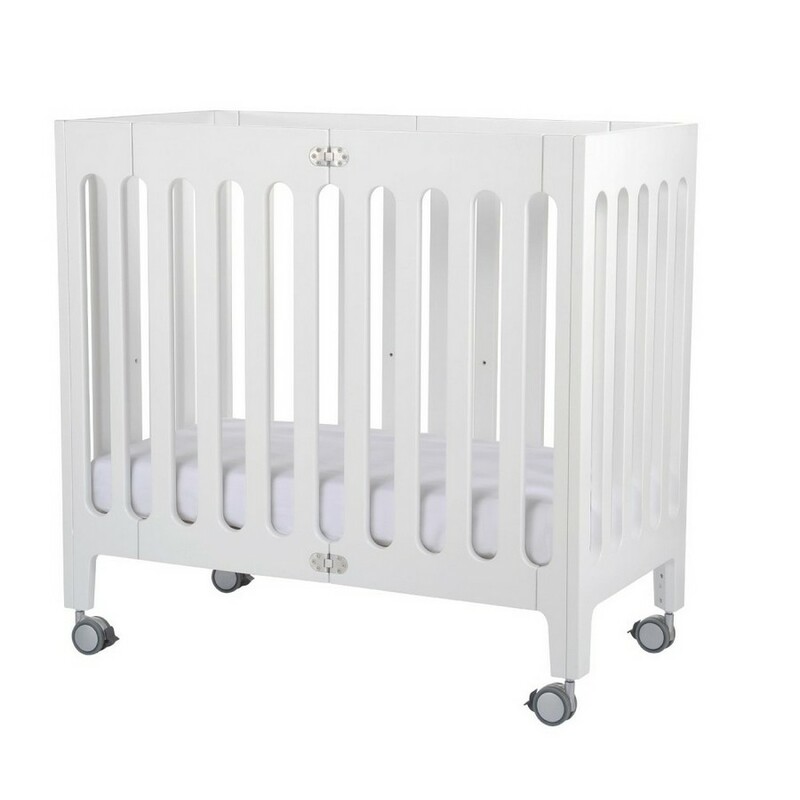 A classical model with tall drop sides ensures safety and makes it suitable for babies up to 3 years old. Such type of a bed is for those who value mobility and need to lull a child to sleep. The only drawback of this model is its short period of operation in case you shift the cot too often. 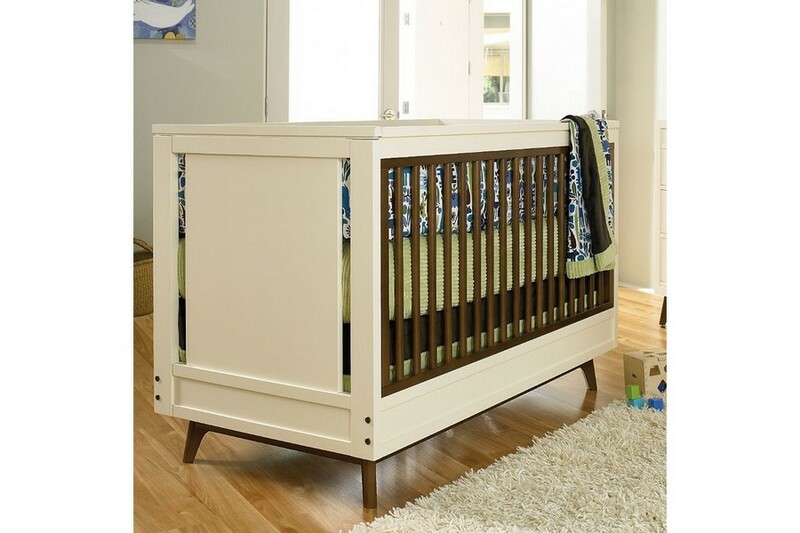 A common wooden cot on legs is deemed the most practical, affordable, eco-friendly and durable. Just like the two previous options, it’s good for kids from their first days till 3 years. This model is a common choice of parents unwilling to encourage babies to lulling and living within limited spaces. These beds have a removable side that can be dropped or completely detached when needed. For the sake of your convenience they have up to 3 adjustable base heights. Cots on legs are recommended for use in some permanent place. So, if you don’t need rocking/gliding options and don’t mind immobility, this is a good choice for your baby sleep. 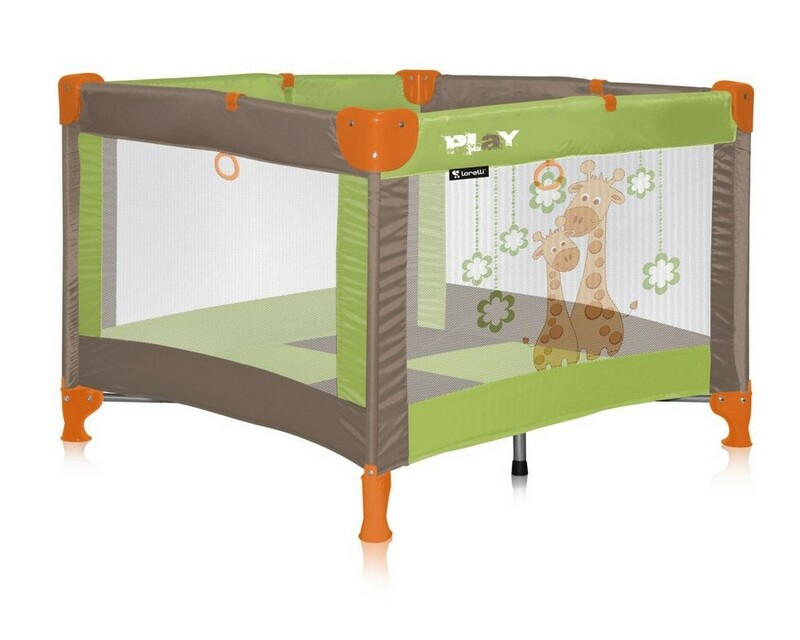 The key thing that distinguishes a playpen bed from a common cot is that its sides are textile or netted, either completely or partially. 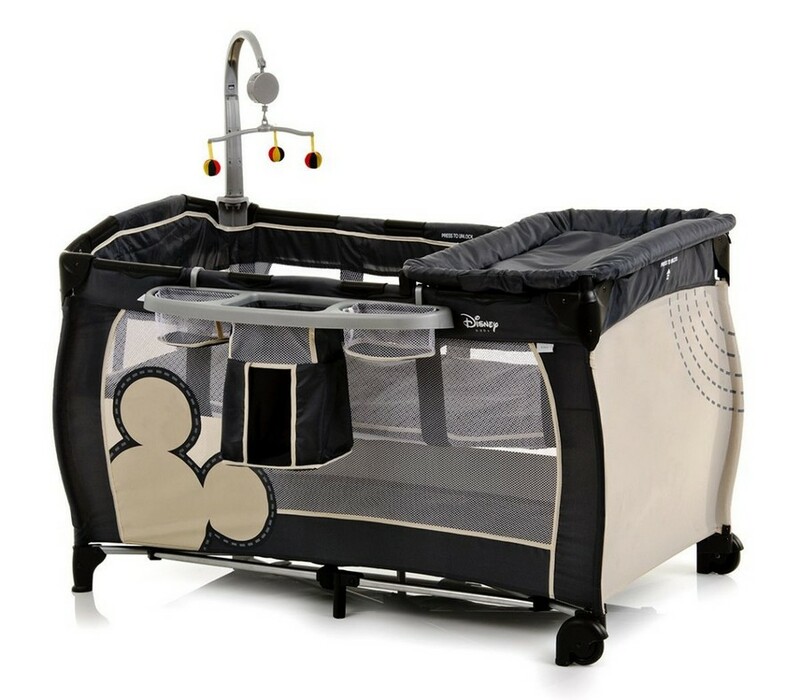 This is the choice of parents, who have no chance to put a full-fledged playpen within a limited area and hence have to do with this 2-in-1 model for both sleeping and playing. An older baby can get into such a bed on his own through a special zipped “entrance” on one side. This bed is recommended for babies from birth up to the age of 3 years. Among the positive features of this model we can name multi-functionality, big choice of colors and user-friendliness. The drawbacks are the lack of strong bars that normally help a baby to stand up by itself and a too low bottom that makes parents to bend over too low. Recently universal transformable models that can be adapted both for newborns and teenagers have become increasingly popular. 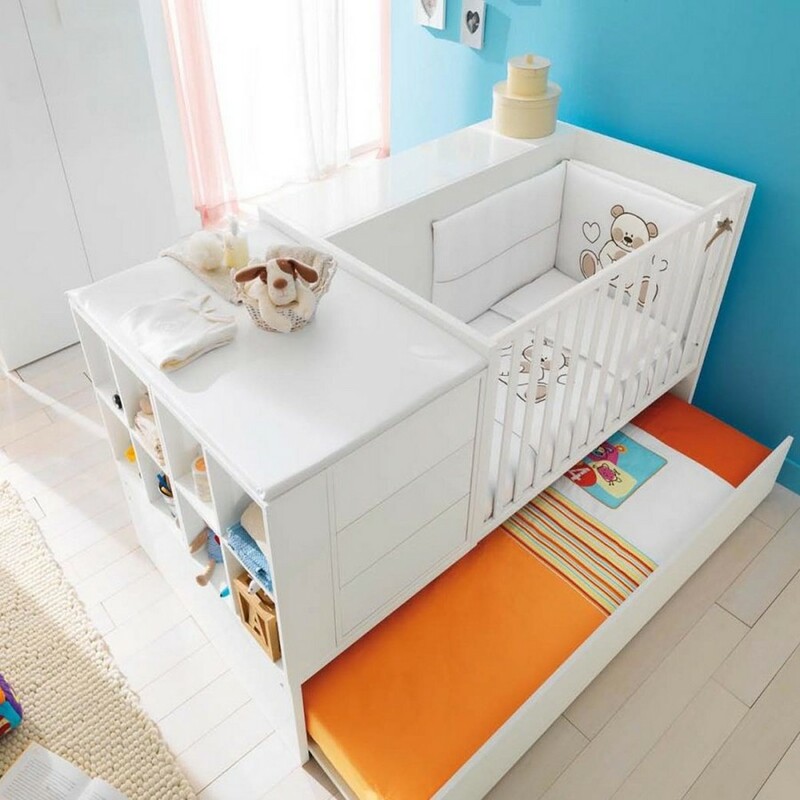 Such toddler beds are equipped with several detachable parts: cabinets, drawers, open racks or a changing table. As a child grows, it can be easily modified for his or her changing needs. Convertible beds are space-saving, universal and money-saving thanks to their long period of use. But be ready to pay a pretty high price for such a model and find a perfect place for arranging this piece of furniture, since it can’t boast high mobility. So, now that you know all the most popular options, you may make the right choice for yourself and your dear baby!